Please turn with me in your Bibles to the book of Isaiah, chapter 37. So throughout this year we have been having sermons that have come out of your questions. 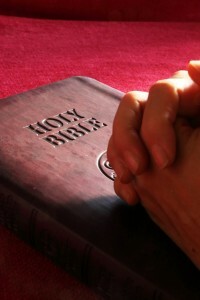 Today we will be addressing a question that someone had on learning how to pray. This is not the typical passage that we might turn to when considering how to pray. Usually when someone asks about prayer we have a tendency to go to a passage like Matthew 6 where we find the Lord’s Prayer. This one is a little bit different, but I think it is a good place for us to spend some time. Now before we get to the passage itself, let me provide a little background. So the main character in our story today is a guy named Hezekiah. He was king during a time when the nation of Israel had been split in two. Hezekiah was the king of Judah. Shortly before his reign the northern kingdom of Israel was defeated and the people taken away into exile by the mighty Assyrian army, and by the time we arrive in the passage we are going to look at, Hezekiah has been king for about 14 years and now King Sennacherib of Assyria is threatening Judah. Judah had been paying tribute to Assyria, but Hezekiah decided to stop that and made an alliance with Egypt to help him stand against Assyria. But this did not sit well with King Sennacherib of Assyria and he began making war against some of Judah’s fortified cities and began threatening King Hezekiah. In chapter 36, verse 2 we find that Sennacherib sent the Rabshakeh, to Hezekiah. This is not a name of a person, but a title. Some have said that it referenced the chief cupbearer, but suggest that he was a high-ranking military official, which seems to make more sense to me. The message goes on from there, but basically he says that they have no chance against the mighty Assyrian army, that they have no allies, that they can’t trust their leaders, that God is not going to defend them, that nobody has been able to stand against Assyria so far, so they should just surrender. And he continued to threaten them, trying to get them to be frightened and to doubt God and to give up. So Hezekiah’s response was to tear his clothes, cover himself with sackcloth and go to the temple where he called for Isaiah the prophet to join him and he called on the people to pray. So Isaiah arrived and gave him some encouraging words from God that he was going to take care of Assyria. But then Sennahcerib, king of Assyria, sent a threatening letter to Hezekiah, challenging him to not trust in God, because other nations had trusted in their gods to protect them from Assyria but Assyria destroyed them anyway, and so he said trusting in God wasn’t going to work for Judah. That provides the context for the passage we are going to look at today. I would imagine that he felt a pretty heavy weight on his shoulders, not just fear for his own life, but for his entire kingdom. This was a mighty, scary army and they were making some really serious threats. So like we said, this was a dangerous, scary, intense situation. It basically was the very real threat of death for himself and many of his people. How he handled it is a beautiful picture of what we are supposed to do in difficult situations. But it is not just instructions for what to do, it is more like an image to grab hold of as we see Hezekiah going up to the Lord and spreading this letter out before him. It is literally laying our situation out before the Lord and saying will you take care of this. This is a visual image for us of how to pray. But we have more details, because the following verses contain what he prayed and it is a beautiful example that informs us about what our prayers can be like. I want to point out two things that Hezekiah does in this prayer, that I think sometimes we maybe forget. The first thing Hezekiah does is to get his perspective right. Remember, what Hezekiah was facing was a really big deal and while we may not identify with his exact situation, we do know what it is like to face difficult things in our own lives. When we are faced with tough times, our problems become so large, so consuming that we can’t hardly see anything else and in the midst of that it can be easy to lose sight of God. Hezekiah begins by getting his perspective right. He starts with a right recognition of who God is and his own complete dependence on Him. He prays, “Lord of hosts, God of Israel, enthroned above the cherubim, you are God alone, the creator of Heaven and earth.” What are some things you might remember about God that would help you get your perspective right? His infinite power. His justice. His mercy? That He hears us? This is the right place to start with prayer. This step helps us take our eyes off of ourselves and our needs and recognize that we are actually praying to a God who can do something about our situation. When we refocus on the Creator of the Universe we are reminded that He is able to do immeasurably more than all we could ever ask and think. When we take the time to do that, it can help us remember that no matter how big our problem is, God is still bigger. This also involves realizing that He is in control, that He knows what He is doing, that He hears us when we pray, that He knows our needs even before we ask Him, that He loves us and cares about what we are going through, and all the other lessons we have learned about God so far in our lives. Prayer should begin with getting our perspective right. Then Hezekiah moves on to lay out his problem before the Lord in verses 17-19. He is open and honest and real with God about what is going on. In these verses I see Hezekiah’s concerns, I can imagine his fear and his discouragement. Second thing that I want to point out is that Hezekiah doesn’t just emotionally barf on God, as if he is complaining about his lot in life. He specifically asks God to intervene and save them in verse 20. God doesn’t want us to just complain or whine about our lives, He wants us to ask Him to work. He wants us to invite Him to get involved in our lives. This is a beautiful prayer and a good reminder for how we can pray about the problems we face. I love the image of him laying out the letter before the Lord. Maybe you are here today and you feel the weight of the world on your shoulders. Maybe your future hangs in the balance and this problem you are facing is consuming you completely. I get that. We’ve all been there, and we will be again. I would imagine that as word of this spread, God was indeed glorified. I want to leave you with one main thing from this sermon today. Hezekiah laid out his problems before the Lord, and God intervened in a miraculous way. He laid out his problem and the problem was taken care of. Assyria was defeated. But all those other countries had gods too, and their gods did not save them. The difference is our God is real. All the other countries were destroyed by Assyria. When we pray, we are praying to a God who is really God. He alone is God. And He can do some amazing things. When we pray, we are praying to a God who is actually able to do something about our requests. I think sometimes we forget that. I think sometimes we pray, because we think we are supposed to pray, but we don’t really expect anything to happen. I don’t know if it is because we don’t think God can fix our problem? Or maybe it is that we just don’t think He will? Or maybe we are just scared to get our hopes up? I don’t know. So overall, I hope you remember the image of Hezekiah laying out his problem before God. And I hope that you are reminded of having a right perspective and inviting God to work in your life. But what I really want to make sure we get today, is that when we have a problem we have the opportunity to pray to a God who is actually able to do something about that problem. He can work miracles. Let’s never forget that. So let’s ask boldly for God to intervene in our lives and work in ways that are beyond our imagination, and then let’s really expect Him to do something.